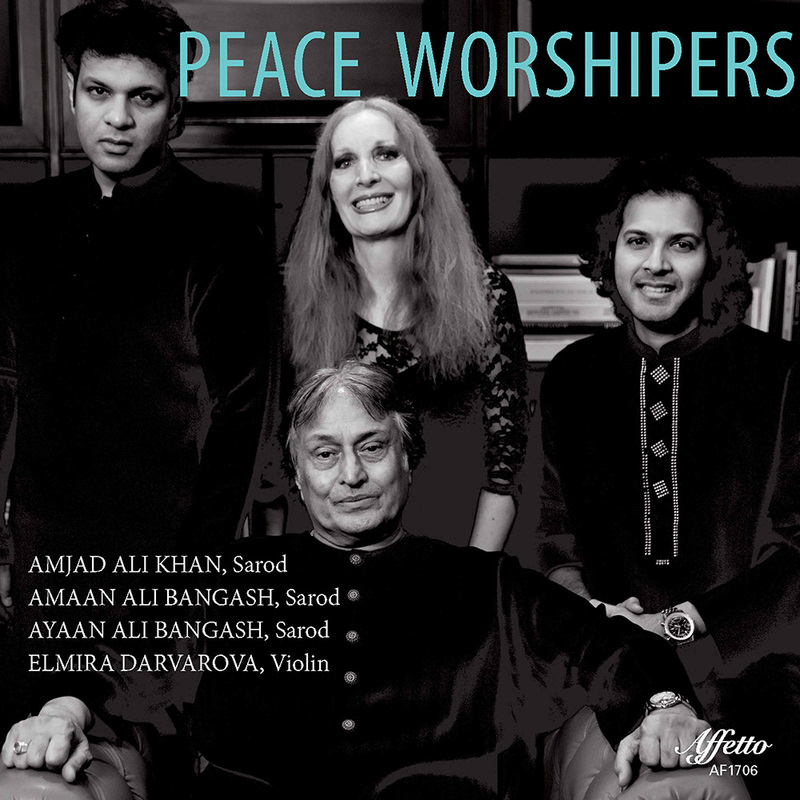 Peace Worshippers represents the culmination of a collaboration between Amjad Ali Khan, the titan of the sarod and one of the greatest living Indian musicians in any genre, and his sons Amaan Ali Bangash and Ayaan Ali Bangash, widely acclaimed sarod virtuosi in their own right. They are joined by distinguished American violinist Elmira Darvarova, herself an important figure as the first woman concertmaster of New York's Metropolitan Opera Orchestra. This recording emerged from Darvarova and the Bangash musicians' abiding commitment to peace and tolerance in the larger world and in the smaller communities of city, neighbourhood and circles of family and friends. These musicians boldly share their respective traditions and genres with each other while maintaining the integrity and character of those traditions intact, exploring with fearless, ferocious energy and generous enthusiasm.